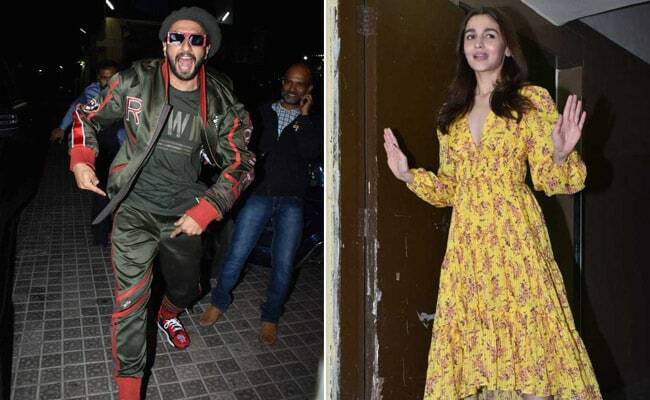 On the eve of Gully Boy's release, Ranveer Singh and Alia Bhatt screened their film for their colleagues and friends in Bollywood. 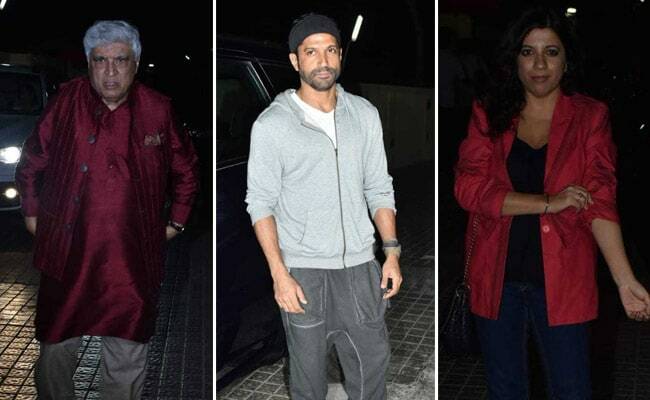 The film's director Zoya Akhtar was also there, along with her brother Farhan (the co-producer) and father Javed Akhtar. Alia looked pretty in a yellow outfit and cheered for the cameras while her co-star Ranveer, as always, posed happily for the paparazzi. Ananya Panday was smartly dressed in black. Her parents Chunky and Bhavana Panday also attended Gully Boy screening with fashion designer Nandita Mahtani. 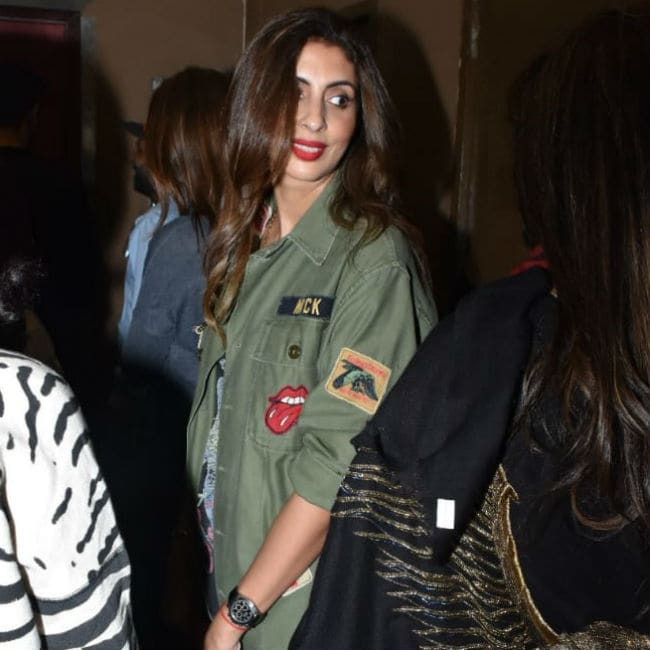 Shweta Bachchan Nanda complemented her look with a khaki jacket and red lip colour. Filmmaker Kiran Rao was also casually dressed. Dia Mirza's plus one was her husband Sahil Sangha. 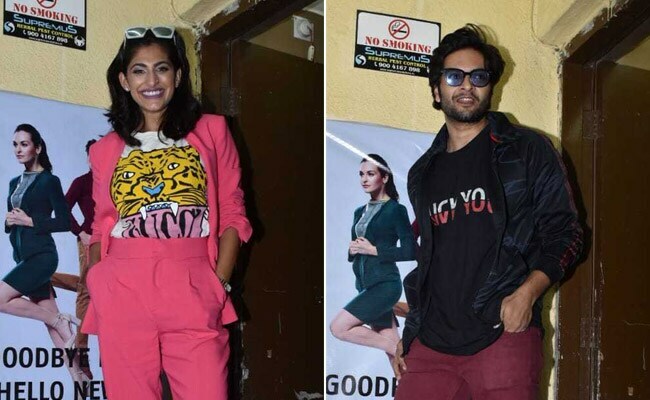 Ali Fazal, Jim Sarbh and Kubbra Sait were also invited to the screening. Gully Boy is Alia Bhatt and Ranveer Singh's first film together. The plot is inspired by the work of rappers Divine and Naezy, who have also contributed in the film's music. Ranveer plays the role of an underdog rapper from Mumbai slums, who later becomes a big name in the hip hop industry. Alia will be seen as a feisty medical student and also Ranveer's love interest. Gully Boy was recently premiered at the 69th Berlin International Film Festival and received a fabulous response. Meanwhile, the Central Board of Film Certification (CFBC) has reportedly ordered to alter a kissing scene in Gully Boy in addition to some cuss words, which have been edited out in the final cut. Gully Boy releases on February 14. The film also stars actors like Kalki Koechlin, Vijay Raaz, Chaitanya Sharma, Amruta Subhash and Sheeba Chaddha. A screening of Gully Boy was also held earlier this week.